The handover of duties of the Dean of the MMA’s Medical Faculty of the University of Defence in Belgrade was held today at the Military Medical Academy. 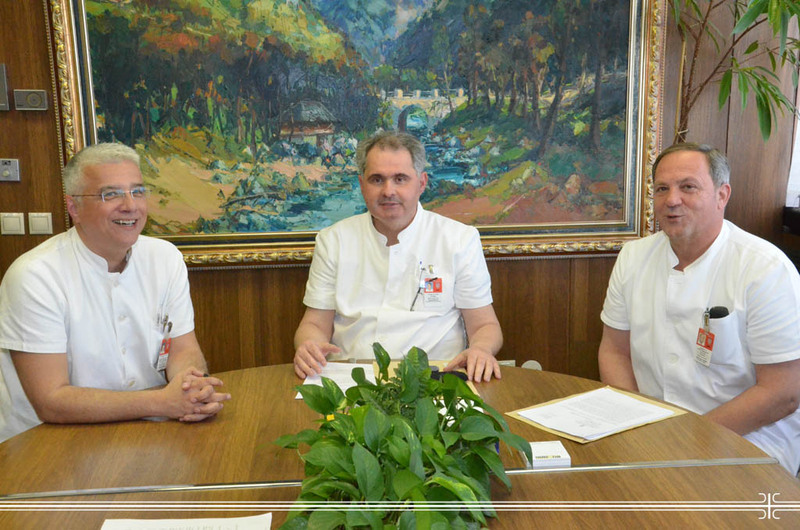 Colonel Prof. Dr Nebojsa Jovic, who until now was the Head of the Surgical Clinics Group of the Treatment Sector of MMA, took over a duty from the former Acting Dean of Lt Col Prof. Dr Tihomir Ilic. Acting Head of the Military Medical Academy Col. Prof. Dr Zoran Segrt thanked Prof. Dr. Ilic on a well done job and wished the new dean Prof. Jovic a successful term. The new Acting Head of the Surgical Clinics Group is Colonel Prof. Dr Zoran Roganovic. CV of the Dean of the MMA’s Faculty of Medicine can be downloaded here.